Outlet Costumi There are 6 products. Altrovedanza's practice tutu with 6 layers of stiff tulle and elasticated pants. Useful for class, rehearsals or as a base for a costume. Available for immediate dispatch in colours white and black in Adult, Girl and Chid sizes. Feasible in other colours on request (alternating colours also). Long White Ballet Tutu with 6 Soft Tulle Layers. Lined in White. 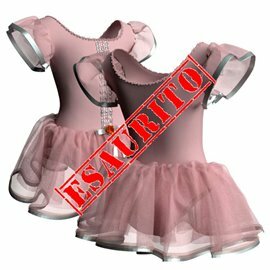 Perfect for Dance Recital Costume and also for Rehearsals.Available in sizes from Girl And adult. Available for immediate delivery in Lycra. Feasible in more than 35 colours on request. 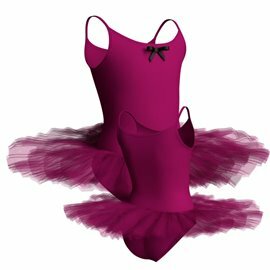 A great full Children's Ballet Tutu with Camisole Leotard from the Altrovedanza collection. 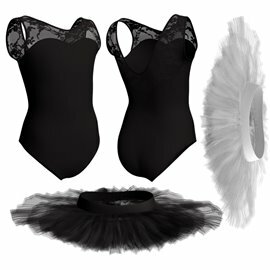 Perfect for rehearsals, shows, and fancy dress costumes! High quality, comfortable, and in a great variety of colours. Available for immediate delivery in : White,Lilac,Yellow,Orange,Turquoise, Royale Blue, Fuchsia,Red and Cyan. This Ballet Tutu "Bamby" for Chid with? 6 layers of soft tulle, the first of which top edged with black satin ribbon. The Leotard in lycra has edges and flakes in lycra with contrasting colour black. Available for immediate delivery in pink,yellow,orange and light blue ith contrasting colour black. 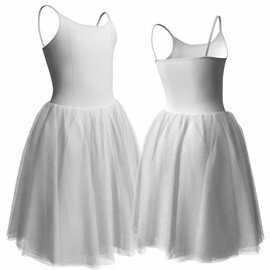 Simple White Camisole Ballet Tutu with 6 layers of soft tulle. Full front lining. High quality Lycra, No itchy tags or seams for a more comfort while dancing. Perfect for Dance Recital and group performance.